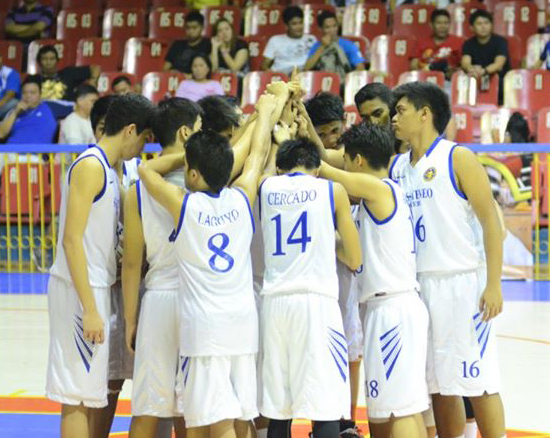 Sacred Heart School – Ateneo de Cebu has an excellent sports program based from the many championship titles its varsity teams won. The school is a member of the Cebu Schools Athletic Foundation (CESAFI). It has varsity teams in the following sports: basketball, football, volleyball, chess, swimming, table tennis, taekwondo, Track & Field, archery, golf, karate, karting, tennis and thriatlon. Its varsity teams continue to participate in the various sports events and has won countless competitions. The athletics program of the school involves elite to grassroots sports activities for all students. Its student-athletes are determined to be champions. They practice hard, play hard and think hard. A typical day in the life of a Magis Eagle involves classes from 7:30 a.m. to 3:45 p.m. Practices are held at 4:00 p.m. to 6:00 p.m. (daily or 3 times per week) to prepare for weekend competitions. Summer training programs are also held during off-season. Sacred Heart School – Ateneo de Cebu builds character through sports to build champions for life!